It is a concert venue. 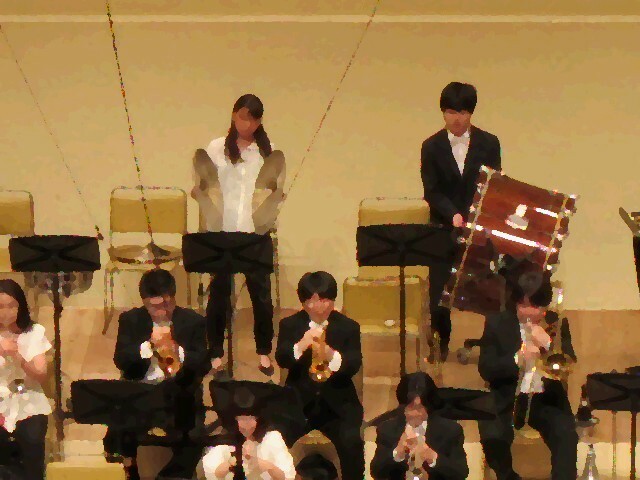 An orchestra is playing a classical symphony. I look down at it from the hollow. Everyone is a performer anywhere. I can not even see the audience. At the end of the venue there is a narrow place like a backstage. Electronic musical instruments are lined up narrowly. So the young people are doing different performances. A synthesizer sparked a spark. The girl who was manipulating pauses playing. It does not understand the cause. When the performer resumes playing, it sparks again. for two different performances at the same venue.